ABC Construction & Property Services offer a comprehensive range of building services within the Stirlingshire area. ABC Construction is based in the Larbert/Falkirk/Stenhousemuir area of central Scotland, but can work anywhere within the Stirlingshire area. Friendly and hard working, Igor Sukys can offer joinery work as well as a full list of services that you might need for the inside or outside of your property. All at a reasonable price. ABC Construction likes to offer a total service to their customers. A family business based in Stirling, serving Stirlingshire, Loch Lomond, Trossachs and the central belt. Qualified and time-served, Robert delivers a professional service to all of his clients, and takes pride in his reputation as a tradesman. Robert Couper understands the importance of hiring a plasterer that you can trust, and guarantees workmanship of the highest standard. Each job is treated with respect, and each plastering job is left clean and tidy. For a free estimate, and friendly advice, get in touch today. Robert has many years of experience, and is accustomed to working alongside other tradesment to get a job finished on time and to the highest of standards. Where there is a renovation or structural changes, our clients will deal with a professional plaster who can project manage their plastering needs. Robert will do large plastering jobs, but the everyday ‘bread and butter’ plastering jobs are just as welcome; skimming a wall, repairing a ‘woops’ moment or perhaps plastering around a ceiling spotlight or cracked doorframe. Scott Plumbing covers Glasgow and the rural areas north of Glasgow, and can provide all the traditional plumbing services you might expect. With 24hr emergency cover, all our work is guaranteed and fully insured. We can provide a professional service for anything from a leaking tap, to a blocked drain or a full bathroom re-design and installation. Emergency 24hr Call Out: We understand the horror of a burst pipe or a boiler being kaput. Foregoing our beauty sleep, we will be there when you need us. Bespoke Bathroom Design: Scott Plumbing has worked with high profile Glasgow interior designers to install beautiful bespoke bathrooms and wet rooms. Wet Rooms for the disabled or elderly: catering specifically to their needs, products are carefully selected for their safety features and ability to perform specific tasks. Hand holds, rails and access are all considered. Full Range of Baths, Showers, Taps, Radiators and Sanitaryware: we do not have the luxury of a fancy showroom, but we carry brochures featuring all the products, both traditional and contemporary, that you can peruse at your leisure. Samples can be brought to you, and ordered very quickly. 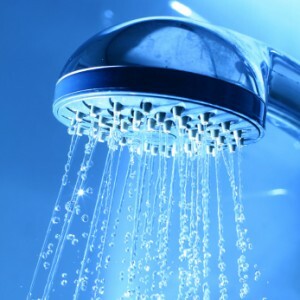 Property Maintenance and Repairs: Scott Plumbing works with individual homeowners, businesses, agencies and property factors to deliver fast and efficient results. As tenement specialists we offer very unique experience and expert knowledge. Drainage and Pipework: Very few plumbing companies have CCTV. Scott Plumbing invested in the technology to allow the exploration of drains and pipework, and to source problems with minimal disruption to the client. Outdoor Plumbing: We can discuss options for outdoor spa baths and jacuzzis, and any other water feature that captures your imagination. If it involves water and pipes, we can do it! Scott Maintenance works with individual homeowners, businesses, agencies and property factors to deliver fast and efficient results. Routine garden work, grass cutting, minor property repairs and maintenance. We are available to perform all manner of useful services around the property and garden at an affordable price. Get in touch with specifics, and we will discuss your requirements.